Two months of nominations and three months of voting by RunWashington readers have added up to this year’s winners. Thank you to those who voted! Whether or not it works as a recruiting tool is secondary. The Marine Corps Marathon, one of the most visible exercises for the Marines in a domestic setting, accomplishes far more than that. 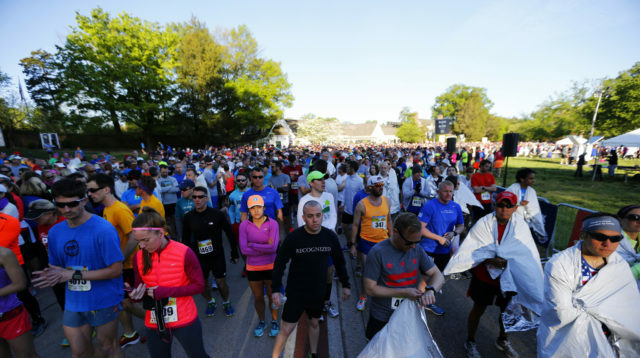 It started partly to give Marines a chance to qualify for Boston but grew and grew as a chance to demonstrate the corps’ organizational skill executing a large-scale peacetime operation, the race is the fabric of the local running scene. It’s an economic driver for the region, bringing thousands of visitors and their families to town the last weekend in October. Even pacifists have to love it. Pete Sherry had plenty of work done on his body while he was running professionally in a career that included the 2003 Marine Corps Marathon title along with several top-tier finishes at U.S. track championship races. “I was always asking a lot of questions,” he said of his therapeutic sessions. “It was hard not to learn because you felt the difference after therapists did different things.. 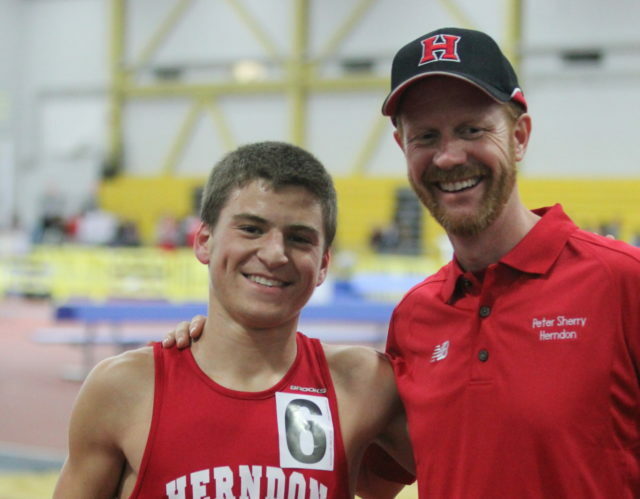 He became an evangelist for active isolated stretching and taught it exclusively to his athletes at Herndon High School, where he has coached since 2005. He sold his running store- Gotta Run, in Pentagon City- to Pacers in 2009, and worked a year in sales before deciding to do more formal stretching and massage work. 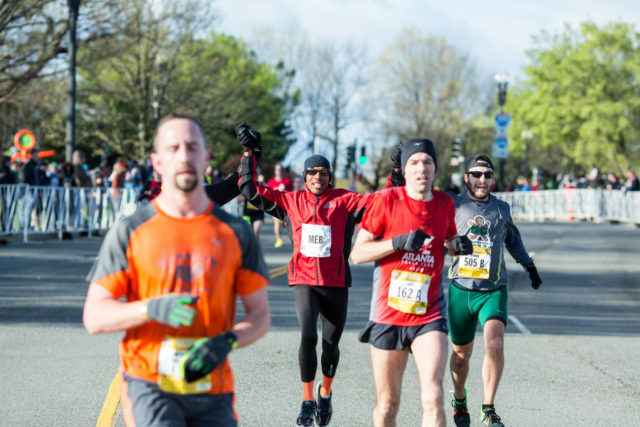 After finishing his certification, he found office space in Reston and has maintained his practice, seeing runners of all abilities, since 2011. Up the Capital Crescent Trail, onto the Georgetown Branch Trail, turn onto the Rock Creek Trail, then move onto Beach Drive and back onto the Rock Creek Trail until Water Street. Or, run it the other way, whatever does it for you. It’s a runner’s reunion during marathon training season. An urban race is a chance to put your feet where most people only lay their tires. For a few hours, the pavement is ours. But with that busy environment means a lot can happen, but Cherry Blossom can handle it. In 2015, when a fatal traffic crash shut down the Kutz Bridge, the race still went on an hour later. It was just 9.39 miles, but it was still better than sending thousands of runners, including many out-of-towners, home disappointed. And the elite runners who come through… Cherry Blossom has played host to the U.S. 10 mile championships, where Janet Bawcom broke the American record. In 2015, Jacob Riley was on pace to come close to the men’s American record, had the course been intact. Joan Benoit Samuelson makes nearly-annual trips to the race, as has Bill Rodgers. This year, Olympian Meb Keflezighi signed so many autographs and posed for so many photos with a thumbs-up that he very well could be on his way to carpal tunnel syndrome. Then he paced a 6:00 group during the race. 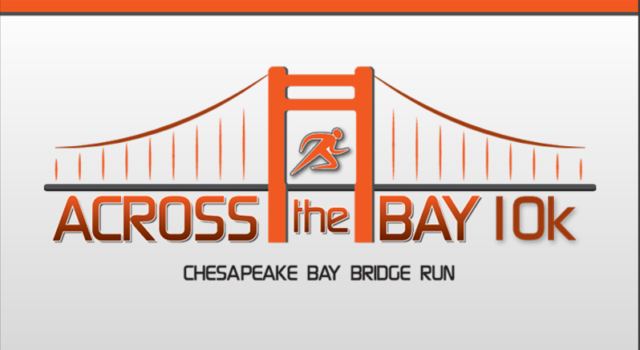 Charles Rogers, designer for the Across the Bay 10k, adapted the shirt’s design from a photo of the Chesapeake Bay Bridge, taken from Sandy Point. A former California resident, Rogers saw the bridge as being as iconic to the Mid-Atlantic as the Golden Gate Bridge is to San Francisco. 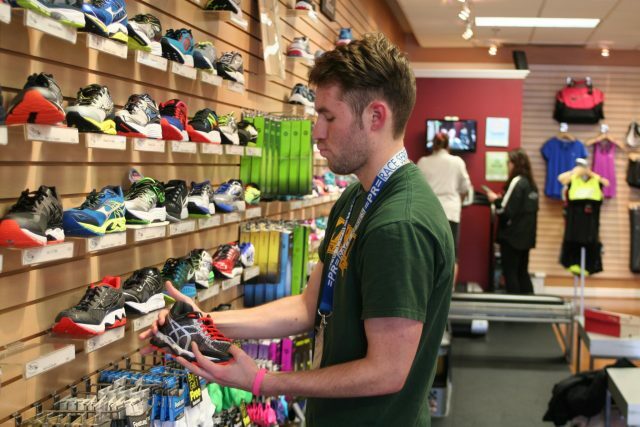 The second oldest store in the Potomac River Running chain has been in Burke since 2003, at the crossroads of some Northern Virginia’s best running. Burke Lake is nearby, as is the Bull Run-Occoquan Trail. Lake Braddock and Robinson secondary schools and their mammoth cross country and track teams are miles away. The store boasts several different training groups, gait analysis and, for post-run snacking, there’s a Chesapeake Bagel Bakery next door. Manager Aaron McCray said one of the store’s best qualities is the pleasant attitude the customers bring. Dulaney (Md.) coach Chad Boyle said the Glory Days Invitational flew under the radar. It won’t , after the field it boasted last fall, with Foot Locker Cross Country champion Weini Kelati winning over national-class runner Kate Murphy. The race is a winner with runners because of the strong fields it attracts just as the postseason is about to start. They’re fit and sharp and the course can be fast. For parents and coaches, it’s easy to spectate, with several loops of the fields around Bull Run Regional Park’s Special Events Center. With binoculars, you can see even more. Set the morning of the Glory Days high school meet, it gives the public a chance to run the course hours before any of the local teams take the field. That also means coaches can race under the guise of checking out the course for their teams while really seeing how they’d fare against the runners decades younger. 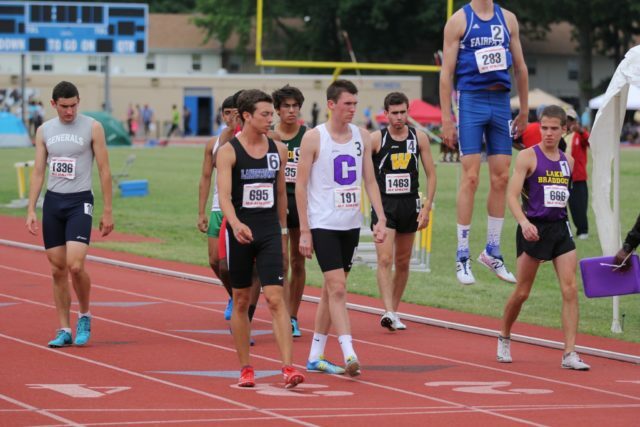 A Lake Braddock alumnus and a Chantilly track dad, Ed Lull’s main focus in the 1600 meters at the Virginia 6A state championships last June was family friend Ryan McGorty, of Chantilly. 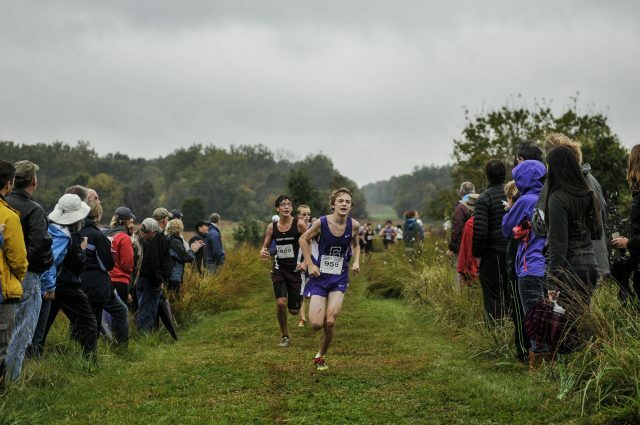 But while the finalists assembled on the line, Fairfax senior Alex Maguire, now running at Virginia Tech, got everyone’s attention by launching himself into the air to get his legs limber for the race. “I love getting those pre-race jumps — Alex should have been a high-jumper,” Lull said. “That was an AMAZING RACE with the cream of the crop of 2015 Northern Region middle distance athletes,” Lull said. After getting a good look at the stadium from the apex of his jump, Maguire ran 4:14.16 to win. The mid-September race to the Navy Yard from Cumberland, Md. combines endurance, resilience while exhausted, resistance to odors and bets it all on the strength of friendship among relay team members or the fact that if this was the first time you met your teammates, chances are you won’t have to see them ever again. 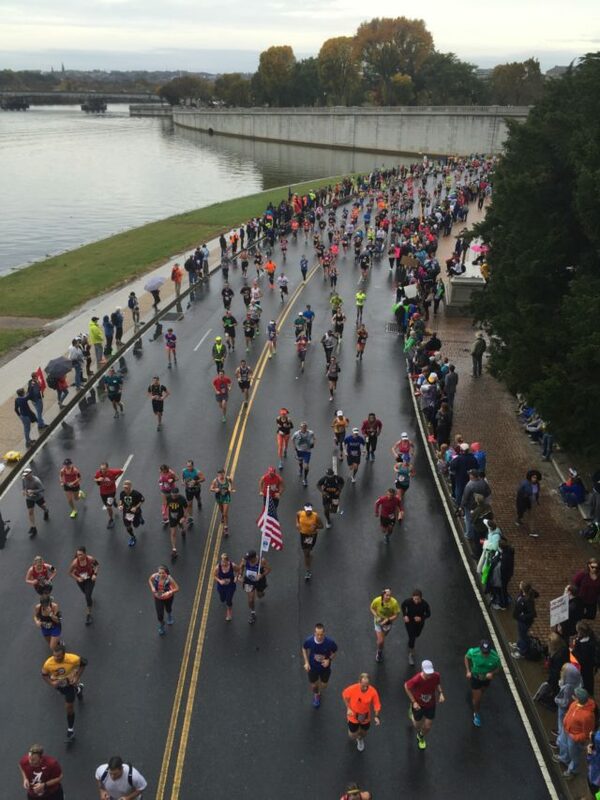 The course follows the Potomac River before crossing it twice in the final legs.